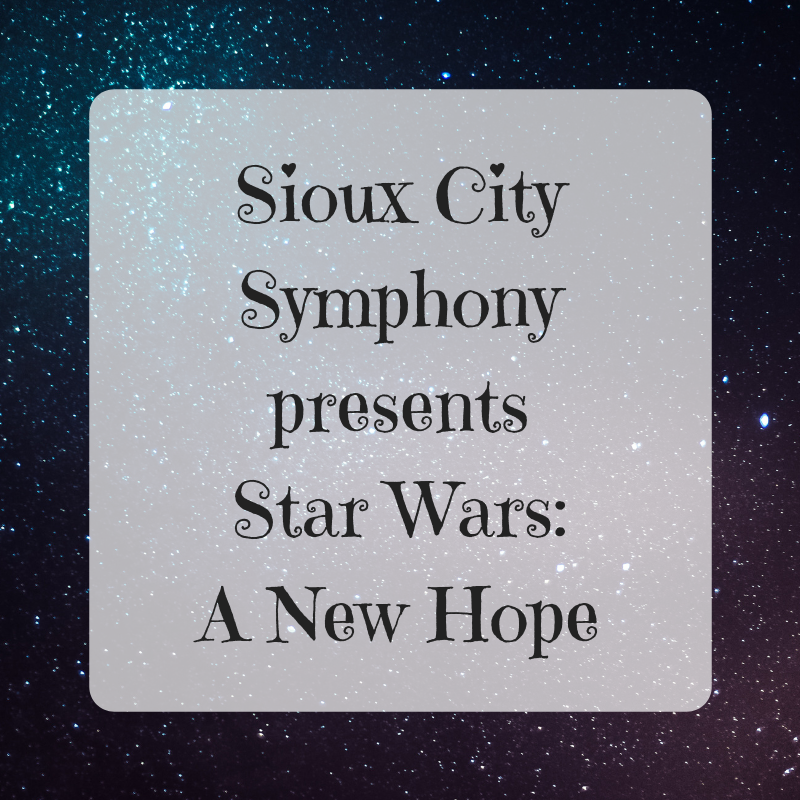 This weekend, epic adventure sweeps into Siouxland as the Sioux City Symphony presents Star Wars like you've never experienced it! 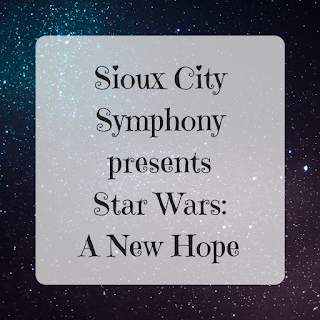 The original Star Wars movie, now known as A New Hope (episode 4) will be shown on a huge screen at the Orpheum theater with the original voice and sound effects, however the symphonic music originally provided by the London Symphony Orchestra in the 1977 film will be replaced by live music from the Sioux City Symphony! 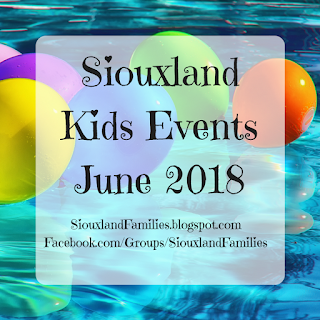 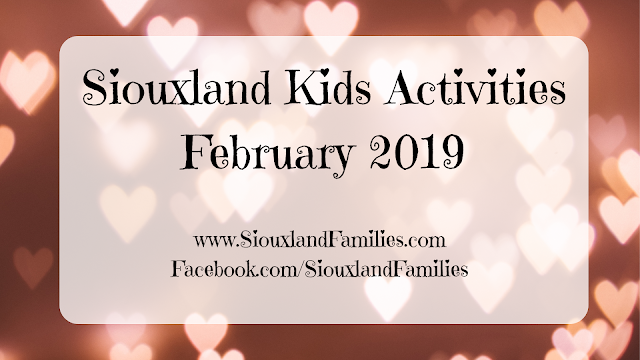 A New Hope is rated PG, but there are few scary moments, and I would recommend this event for kids 8+ who can sit still and quiet for 2+ hours (the movie run time is 121 minutes, plus plan on a few minutes of introduction from the Sioux City Symphony and possibly an intermission) and who are okay with some sci-fi suspense and fighting. 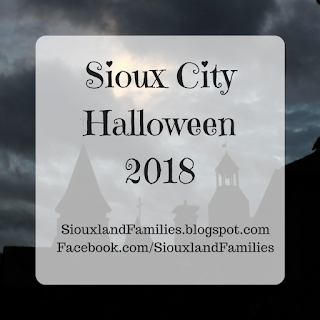 All seats are $49, and tickets are available online or at the box office.